Artists are invited to apply for one of a number of paid commissions for this project, responding to the urban environment to devise mapped walks or cycles for the local community. ‘FOOTPRINT’ is a walking and cycling map + guide planned for East Edinburgh (Portobello, Leith) & Musselburgh with artist-led routes that intersect the urban with nature through lesser used habitats, encouraging everyday physical activity as a way to improve well being. We will be holding a number of public drop-in sessions at local markets and street locations during April-May from which a range of artist initiated walking & cycling routes will be based. A map + guide will be produced by December 2019 that presents around 6 routes for cycling and walking, and highlighting relevant sites that local communities have mapped within each of their neighbourhoods. The project will involve the developing of mapped routes working with local participants from each area alongside Art Walk Projects, leading a number of walks or cycles during June to October 2019. A finalised printed map will be produced by Dec 2019, in which each artist will be profiled alongside their mapped route. We invite imaginative proposals that engage with local neighbourhoods, mark out the local, and intersect the three areas through lesser used habitats. Improving well being for participants is also an important element of this project, working to increase regular activity. Lead 2 walks or cycle journeys during the period June to Oct (including Art Walk Porty Festival 7-15 September). In the region of 4 commissions are available – each receiving a bursary of £1000. We are keen to hear from artists whose practice involves walking, mapping, journeying through lost urban landscape, or involving the study of the living urban environment. Ideally with a knowledge of one or more of the areas: Leith, Portobello, Musselburgh. A description of the type of route or ideas you would be interested in exploring, including the area/s of most interest. We also are seeking an illustrator to work with us to draw out the A2 folded map and provide graphics that are relevant to the project. Fee in region of £1000. 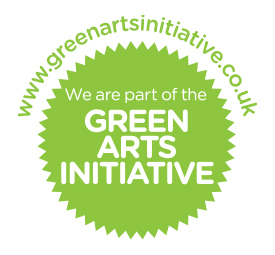 Art Walk Projects are a member of our Green Arts Initiative: a networked community of practice for Scottish cultural organisations committed to reducing their environmental impact. It is free to become part of the community, and there are lots of resources and case studies (like this one!) to support #GreenArts organisations. Take a look at our Green Arts Initiative page for more information. All images are from Art Walk Projects. Find more on their Instagram page.